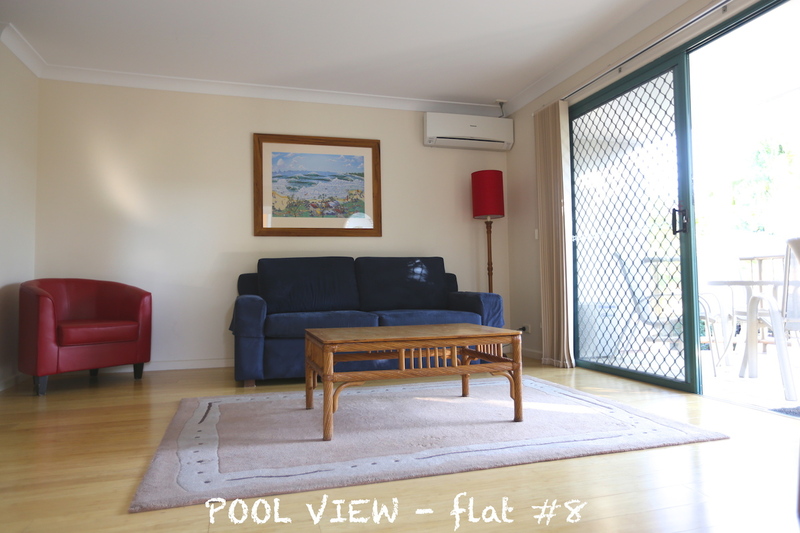 POOL VIEW (flat #8) - This sunny top-floor apartment overlooks the pool and tropical gardens. Peaceful location, perfect for catching up on some reading or taking a nap after a long swim and beach walk. 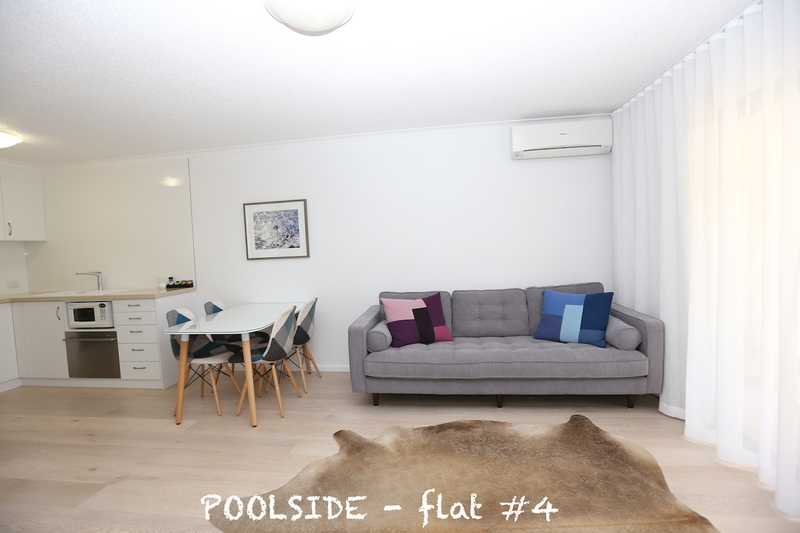 POOLSIDE (flat #4) - Fully renovated with modern finishes and tasteful decor. Relax on the patio beside the pool. The bbq pavilion is easily accessible from this apartment. 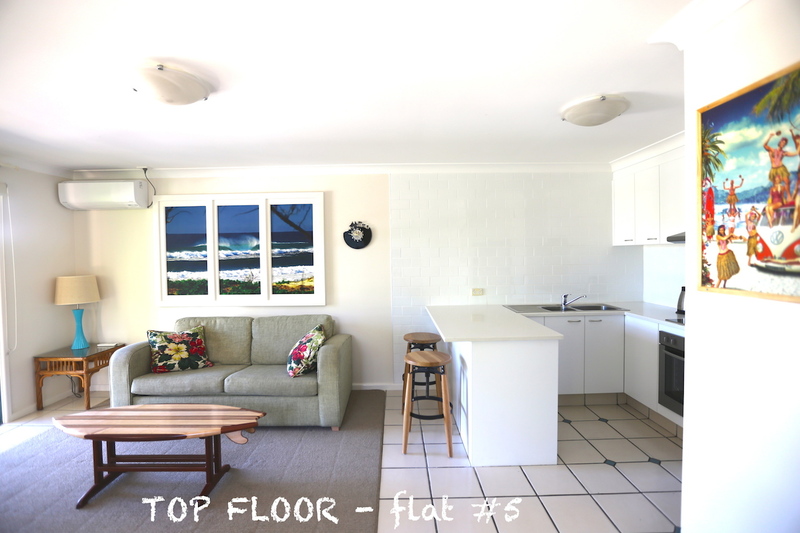 TOP FLOOR (flat #5) - Most spacious interior and with funky decor. Relax and watch the passers-by on the street below from the generous wrap-around balcony. This recently refurbished apartment offers fully renovated kitchen and custom made furniture. By paying a deposit to secure your booking you are agreeing to the current terms and conditions as per Byron Bay Accom.net Click here to read Terms and Conditions.